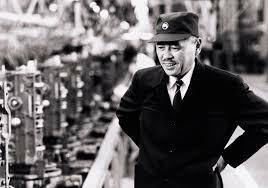 Taiichi Ohno is the Japanese industrial engineer who played a major role in pioneering the Toyota Production System. When training a new manager, legend has it he drew a circle on the shop floor and have the manager stand in the circle. He was given the job to “see”. He then walked away. Upon returning if the manager’s list of process improvements was not long enough, he would have them remain in their circle. At the end of the day, if they had not come up with a list he deemed sufficient, the manager would very likely return to the same circle next day. There they would remain, until he was satisfied the list represented a good start. Muda – futility, uselessness; wastefulness. Avoided by asking if he customer would be happy to pay for the item or service in question. Inventory in manufacturing or seldom used software features are two examples. Any process that consumes more resources than needed, causing waste to occur. Mura – unevenness; irregularity; lack of uniformity; non-uniformity; inequality. Avoided by Kaizen (small incremental process improvements) or just in time production. Muri – unreasonableness; impossible; beyond one’s power; too difficult; by force; perforce; forcibly; compulsorily; excessiveness; immoderation. Ohno developed these seven ways organizations should use to identify Muda (waste). Over processing or undertaking non-value added activity. This quote from Taiichi Ohno summarizes much of what he believed, The Toyota style is not to create results by working hard. It is a system that says there is no limit to people’s creativity. People don’t go to Toyota to “work” they go there to “think”. Passionate thinking gives birth to process improvements. Thinking truly begins when we exercise the art of seeing. Scrum Inc (Scrum Lab) notes on Muda. This entry was posted in Scrum Master Stuff and tagged A3 Root Cause Analysis, Agile Innovation, Agile Scrum, Kaizen, Larry Lawhead, What do you see?. Bookmark the permalink.